Expectations of motherhood: I was ecstatic when I found out I was pregnant in the first month of trying and couldn’t wait to start the next phase of my life. I used to count down the weeks and days to my due date and was so excited to meet the baby that was growing inside of me. My husband and I both have close relationships with our families and I looked forward to us creating that same very special family bond with our own children. 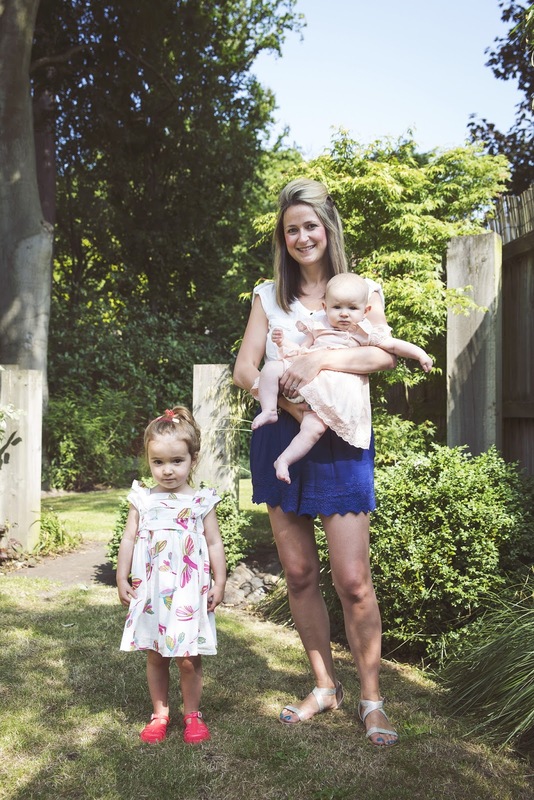 Reality of motherhood: We didn’t actually have any close friends with children that we saw on a regular basis and in hindsight I think I was a little naïve about how difficult it would be in those early weeks. 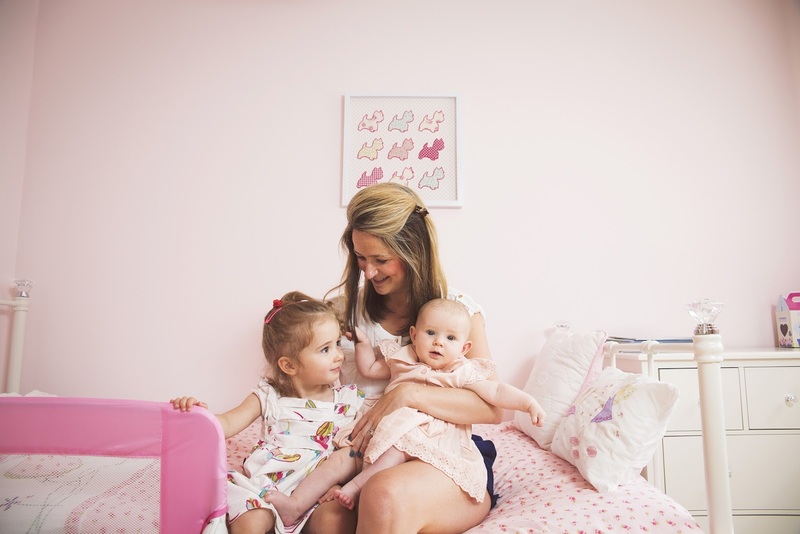 I was very well prepared in the practical sense (I had researched and bought pretty much every baby gadget going), but quite unprepared for the reality of motherhood. I found the first few months exhausting and quite stressful. I had struggled with breastfeeding Amelia and was made to feel terrible about this by a number of midwives and health visitors. This feeling of failure, that I was unable to do what is regarded as best for my baby stayed with me for a number of months, and I think contributed to other feelings of inadequacy as a mother and my continual questioning of myself and the choices I was making for my baby. However, my confidence grew as I began to see my daughter growing into this amazing, gorgeous, funny and unbelievably caring and loving toddler, and those thoughts from the early months are now forgotten. When Lottie was born 5 months ago she just seemed to slot perfectly into our family and has already brought so much happiness to us all. I am loving my maternity leave and the time I am getting to spend with both of my children. 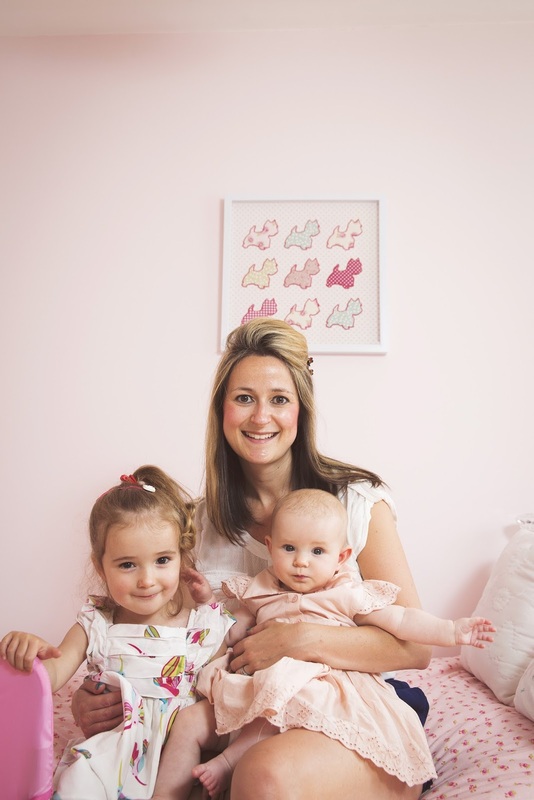 Taking your children home for the first time: Amelia was born 3 and a half weeks early and had jaundice so we were in hospital for 5 days after the birth. 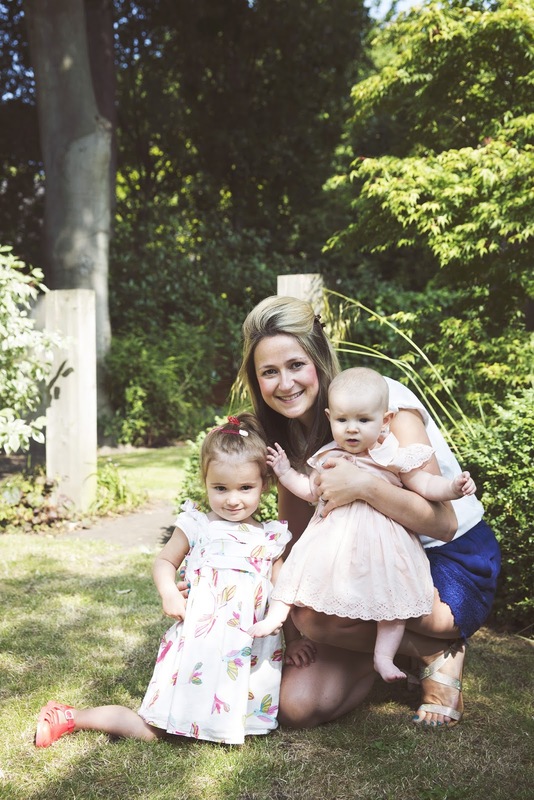 I was desperate to get home, having barely slept in hospital – I was too scared to sleep at night in case something happened to her whilst my husband wasn’t there and during the day the constant stream of midwives, doctors and visitors left little time for sleep. My mother and father-in-law were at our house when we arrived home. They had filled the house with flowers, not to mention the new bed linen and pyjamas they had bought for me and the drawer full of premature babygrows for Amelia, who weighed only 5lb 5oz. They cooked dinner for us and we ate it watching X Factor whilst Amelia slept in her Moses basket. I remember feeling so happy and relieved to be home. That contented feeling did not last long however, as come midnight all the milk I had expressed had gone and I was really struggling with feeding. Thank goodness for formula and the 24 hour Tesco! Bringing Lottie home was a different experience all together. She was a bigger baby, was feeding well and I felt a lot more confident about looking after her. My main concern was how Amelia would react to her baby sister. It was a truly magical moment when she arrived back from nursery, peered into the Moses basket, then looked at us with astonishment in her big brown eyes and just said ‘baby’. Best advice: I speak to my own mum every day and she has given me lots of wonderful advice since I became a mum myself. Two pieces which stick in my mind are; don’t ‘google’ every minor ailment you think your baby may have. It will only fill your mind with horror stories and lead to endless, unnecessary worrying; and every phase in a child’s development is just that and won’t last for long (although I think even she was beginning to doubt this with Amelia who was a horrendous sleeper until she was 18 months old). This goes for the good things too. Try to take time every day to appreciate all the wonderful things your child does – be it their first smiles, laughs, gurgles or the hilarious phases and comments they come out with as they are learning to talk. All too soon they will be on to the next phase of development and you will never have that time back again. Worst advice: Anything in Gina Ford’s contented baby book! I know her routines work extremely well for some mothers and babies, but I found it impossible to get Amelia to follow anything close to what she was suggesting and this added to my anxieties. Why had she woken up 45 minutes before she was supposed to? Why did she seem hungry after 2 hours rather than 3? What was I doing wrong????? With Lottie I haven’t opened a single baby book and have let myself be guided by her. As a result I would say she is a far more contented baby because she sleeps when she is tired, is never hungry and most importantly doesn’t have a stressed and anxious mummy! Hardest parts of being a mother: I’d heard people talk about motherhood being tiring, but the exhaustion I felt with my first child was something I had never experienced before. She would regularly wake for 3 hours during the night and this didn’t really settle down until she was 18 months old (by which time I was pregnant with Lottie and feeling tired from that). I have basically been tired for about 3 years now! Fortunately, Lottie is a much better sleeper than Amelia was and I think my body has also become accustomed to functioning on less sleep. The most difficult thing however, is adapting to how my relationship with my husband has changed. Pre-children, we both had careers which involved working long hours or being away from home, so it wasn’t unusual to spend time apart during the week. However, we always had weekends and holidays to get that time back and just focus on what we wanted to do, which normally involved nights out in nice restaurants and bars, safe in the knowledge that we could lie in till whatever time we wanted! 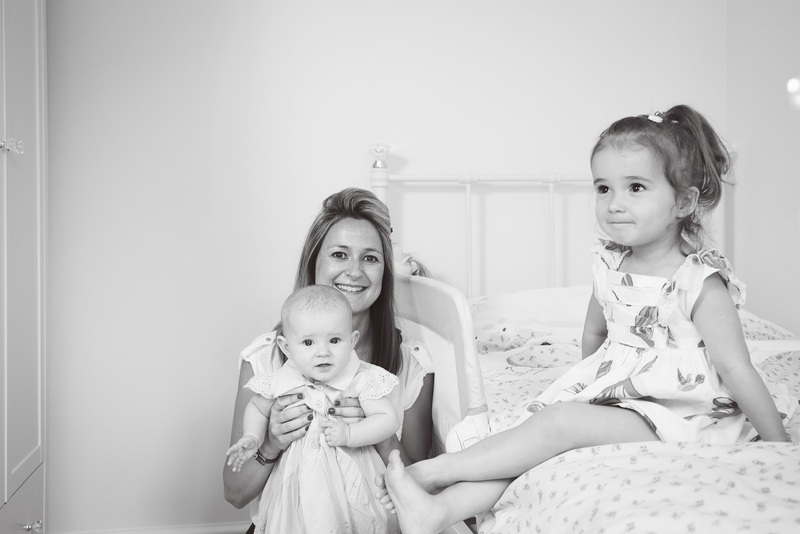 Now, every day between the hours of 7am, when we are woken by Amelia shouting for mummy or daddy, to 7.30pm, when if we are lucky both children will go to sleep, they are our main focus. My husband plays football twice a week and I have recently started going to the gym a couple of times a week, so there aren’t that many evenings when we are at home together. When we are we are often knackered and just collapse on the sofa in front of the TV. I am confident that once Lottie is a little older and we are able to leave the children with their grandparents, we will start to get some of our old life together back, but until then it does feel like a sacrifice. Best parts of being a mother: It’s got to be the cuddles! Amelia is such a loving child and is forever throwing her arms around you to give a big heart felt hug. I also love watching my two girls starting to forge their own relationships with each other. Lottie will lie and watch Amelia for ages with a big gummy smile on her face. The other day she was on her play mat and completely unprompted Amelia bent down to cuddle her and said ‘Lottie, I love you so much’- Moments like that are truly amazing. Has becoming a mother changed you? It’s difficult for me to answer that. It has certainly changed me for now, but whether the old me will reappear when the children are older – I don’t know. I have a lot less time to think about and focus on myself these days. I used to spend hours planning an outfit and getting ready for a night out and now it’s more like 10 minutes to throw on whatever I can find in my wardrobe and a bit of make up! Becoming a mother has also had a massive impact on my career. My job was very demanding, it was fast paced with tight deadlines and often involved travelling away from home during the week, which is no longer possible with 2 small children. I am still working through how this will work once my maternity leave is finished and am hopeful of finding the right balance between a job that I find interesting and challenging and being there to care for and support my children. Hopes for your family: It sounds like a cliché but I want the children to be happy in whatever they decide to do and without worries for as long as possible. I’d like us to provide them with as many amazing experiences and opportunities as we can, and for us to laugh together every day. I hope the children become good friends and will be there to love and support each other. I know there will be different challenges as they get older, but I hope that as they are able to do more for themselves, parenting will become less exhausting and one day they might let us have a lie in, or even bring us breakfast in bed! Advice you would offer new/expectant mums: Make sure you get out of the house every day. Even on days when you feel absolutely exhausted a half hour walk round the park can provide you with a boost of much needed energy. I’d also recommend joining different baby groups and classes. Not only can they help with the bond between you and your baby, but surrounding yourself with other new mums can provide invaluable support. When it’s 2am and you’ve fed, changed, winded and comforted your baby and they still won’t go back to sleep it’s comforting to know you are not the only person going through this!